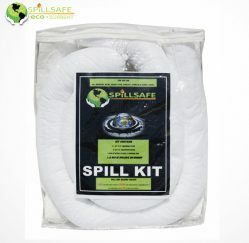 Spill Kits | Hy-Cor International Inc.
What is SPILLSAFE? Recycled polyurethane particles made from flexible or rigid slab stock foam scrap. Polyurethane is the most effective sorbent that can be used for oil spill cleanup, and efficiently recovers oils with a wide range of viscosities. And over 100 more fluids! CLICK for more information on this product, including a demo of SPILLSAFE in action!